Okay, you’ve made the move to containers and can now write Dockerfiles for everything. 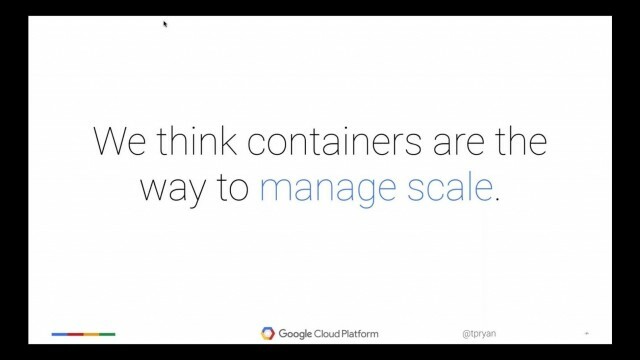 How do you manage all of those containers? Have you found that you traded managing individual machines for managing individual containers? Kubernetes, an Open Source container orchestration engine, can be your answer. We’ll explore Kubernetes and see how you can use it to run massive collections of containers that fix their own problems and allow you to move your setup wherever you need to be. Terry Ryan is a Developer Advocate for the Google Cloud Platform team. He has 15 years of experience working with the web – both front end and back. He is passionate about web standards and wants to bring web developers to the Google Cloud Platform. Before Google, he worked for Adobe and the Wharton School of Business.